JE Pistons opened its doors for business in 1947 with one simple objective, to supply the racing community with the highest quality pistons and components available in the marketplace. Although times, people and equipment have changed, our objectives and goals have remained constant. Today, JE is the largest manufacturer of custom forged racing pistons in the world. Offering the shortest lead times in the industry and a 98% order fill rate, JE is the definitive source for all of your high performance needs. The JE complex encompasses the most modern performance piston manufacturing equipment in the industry. JE’s implementation of the most advanced CNC machining technologies available, with over 75 state of the art CNC machines in operation, emphasizes our commitment to deliver the highest quality pistons, pins, rings and components available today. Industry leading processes like Ultra Crown® ‚ a digital three-dimensional piston crown machining process, and Ultra Groove® ‚ a machining operation that provides unprecedented flatness of ring grooves (tolerances to within millionths of an inch), are some examples of that commitment. Our fully staffed, climate controlled QC (Quality Control) department utilizes the latest equipment to ensure the highest quality pistons available anywhere. F.E.A. (Finite Element Analysis), which predicts the thermal and structural stresses a piston will experience before it goes into service, enables JE to test and race simulate our product before it ever sees a racetrack. Furthermore, the lessons we learn through our involvement in racing series like NASCAR, IndyCar, NHRA and many others, translate directly into the high quality, precision custom and shelf parts that we offer to you, our customer. 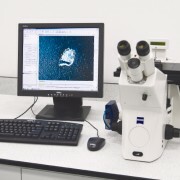 Our investment in technology and equipment is an investment in our future as well as our customers’. We preserve that investment by remaining committed to the philosophy of our founders; JE Pistons will always provide superior parts… developed through extensive research… employing the latest hightech manufacturing procedures and quality controls. 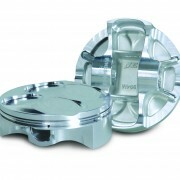 Click here to take a look at the JE Pistons product catalogue.